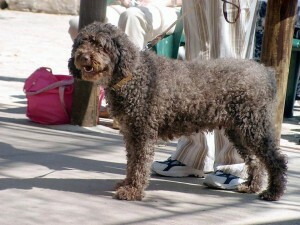 Spanish Water Dog | A Barbet is a Barbet is a Barbet.. 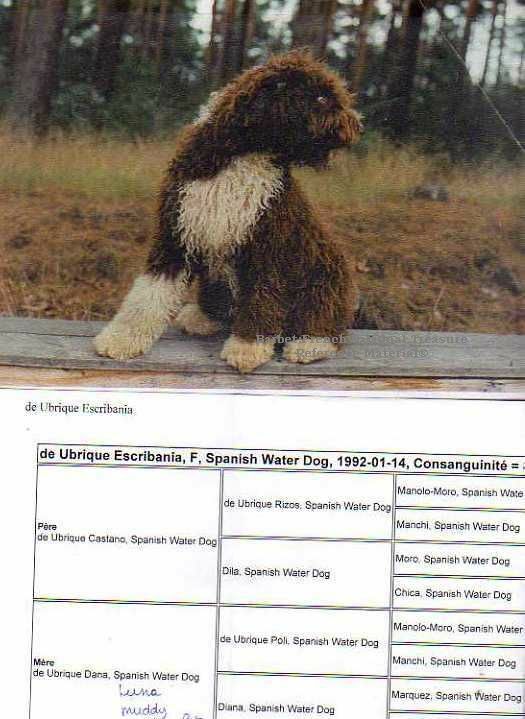 This is how the Perro de Aqua Espagnol came into the Barbet: Escribania de Ubrique. She is part of the foundation stock for Canada. 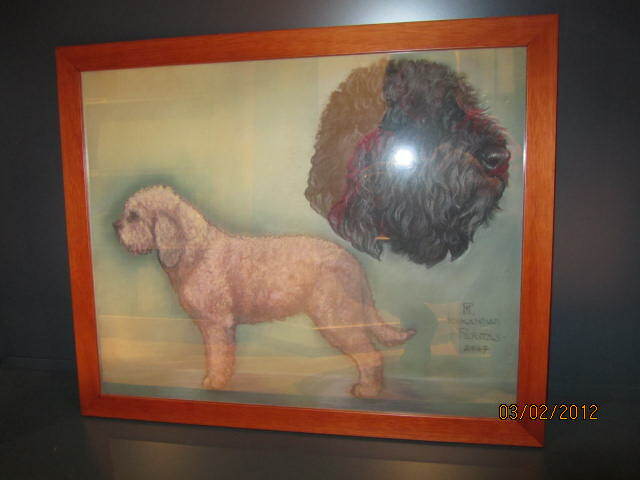 This painting was of a Barbet…and used for the WDS ( World Dog Show) in 2012 to depict our Barbet. The head? 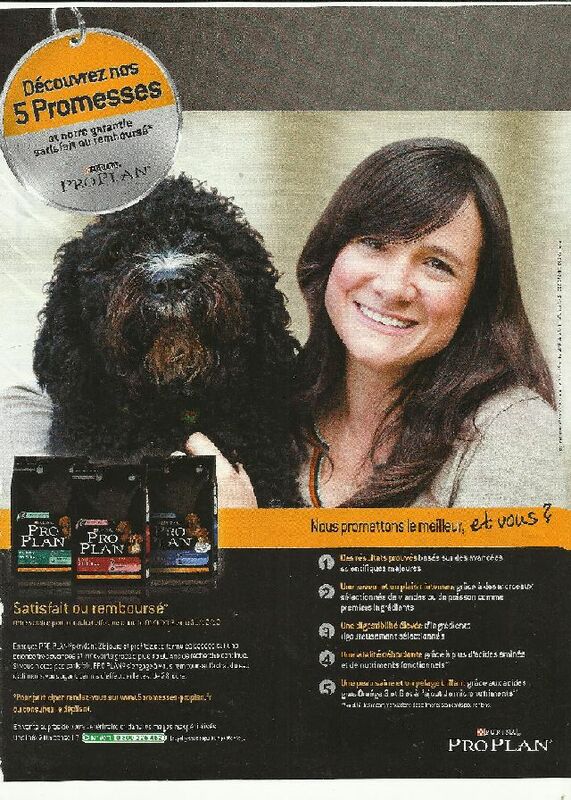 To be sure this WAS a SWD, I contacted Purina…who confirmed. Several Barbet breeders had said it was a Barbet. 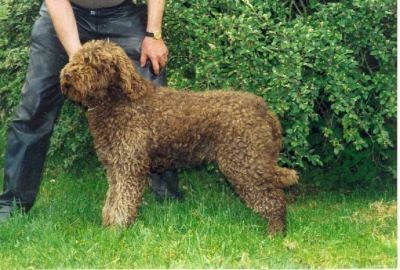 The Barbet having very little proper brand identification, it is extremely difficult to promote the breed and move forward. The ad and the video on the Purina ProPlan site are lovely. 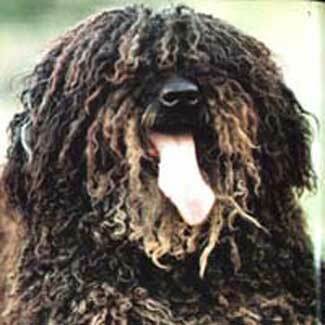 The morphology of this Perro is not at all that of a Barbet. The Perro de Agua Espagnol and the Turco de Andaluz ( also a SWD), shown below. It’s interesting to also notice the color of the many brown Barbets with SWD blood. It fades, differently than the Poodle brown always due to the graying factor. Very often they have a strip of lighter color across the hips, when they have SWD blood. 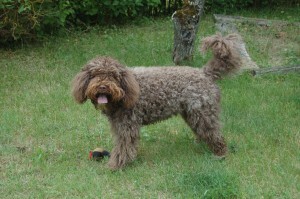 The coat texture is very different and rougher than the average Barbet. As far as character, they are much more active than the average Barbet. Average: meaning it is hard to really determine what the Barbet coat should be without referring to the past of the breed since the 1886 standard for a Griffon.This makes it difficult for all since we all think we have the best coat… and that is what a Barbet coat should be.